Arthur is thinking outside the boxes. He is mildly surprised that none of these particular boxes will accommodate him today but he feels that perhaps they need time to mature, so he is content to sit on the boxes and contemplate geometry until they see fit to be the correct way up. 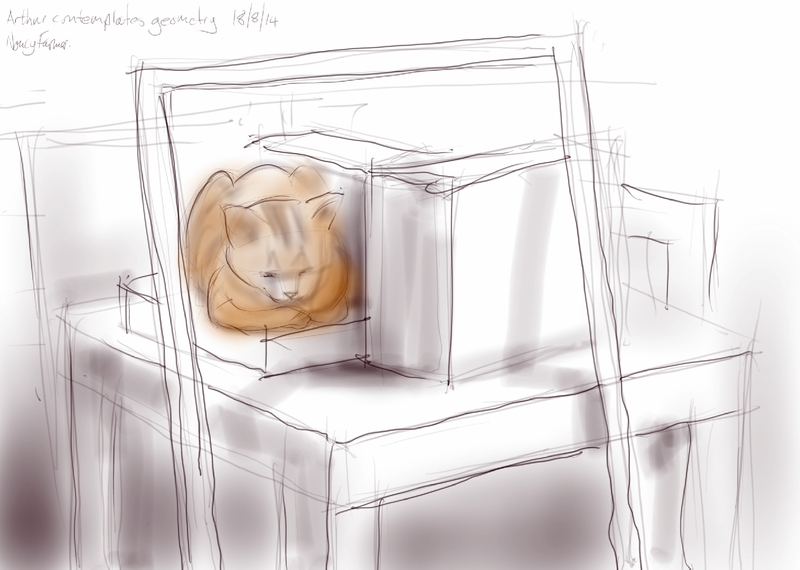 This entry was posted in Cats and tagged art, arthur cat, cardboard box, cat in a box, cat sitting, cat-of-the-day, digital sketch, drawing, ginger, illustration, tablet sketch on August 19, 2014 by Nancy Farmer.